Magnolia Bowl - Wood Turning Pens ..
For a native of the Western United States, Magnolia trees may not be a common sight and perhaps they remain completely unknown to many in the West. But in the East, and especially in the Southeast, Magnolia trees are common feature of both private yards as well as commercial or academic settings. The trees grow readily in the diverse climatic conditions of the Southeastern United States, they flower with large beautiful and fragrant blooms, and over time they can reach enormous size. So Southern are they that they are the official state tree of Mississippi, and they are native to the Southeastern United States. As common as they are in the Southeast, they are not exactly what one would consider a timber wood tree. Magnolia are pretty much strictly ornamental, so finding the wood usually means that a privately owned one has been removed for one reason or another as opposed to being harvested in the wild growth forest. While the tree is native to the Southeast, and while it has been used historically for use in everything from pallets to furniture, it isn’t a common timber wood today. The wood is semi-hard, certainly harder than pine but softer than oak. It sometimes has some color ranging from cream to gray and occasionally the heartwood will be darker, but Magnolia isn’t a heavily colored wood. Magnolia isn’t commonly sold as a commercial wood but occasionally, and especially in the Southeast, it can be found for sale in the form of turning blanks and for other uses. While still harvested commercially, its use is limited due to the widespread availability of imported hardwoods that can easily fill the same purposes for which Magnolia was once used. 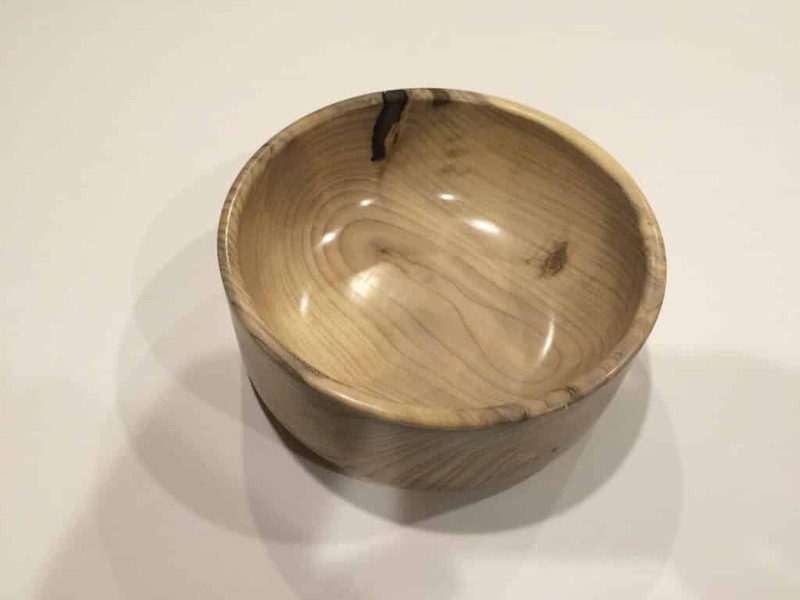 I found my blank at a local Woodcraft store and have since discovered that those came from Got Wood, an online retailer based in North Carolina that specializes in native woods of the Southeast. They will gladly sell you a Magnolia turning blank when they have them in stock, which they currently, as of October 2014, don’t. 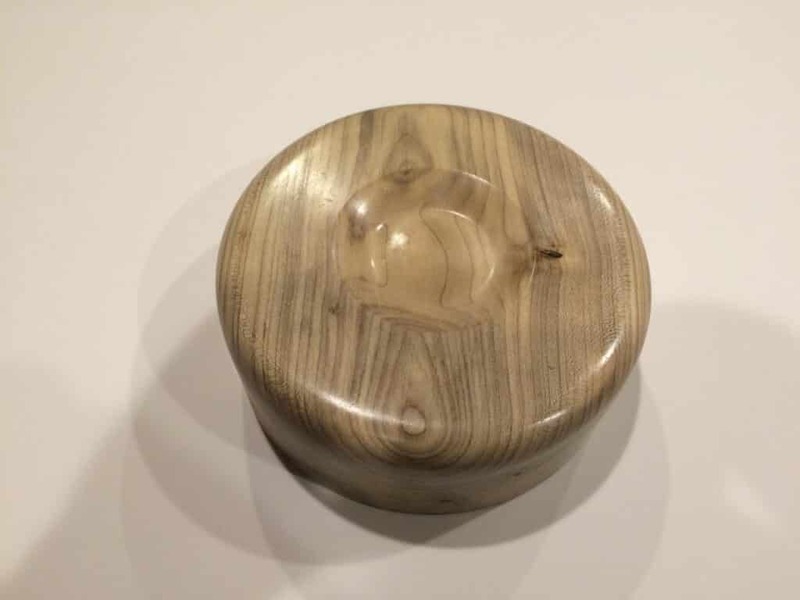 But, I have purchased from them in the past, as recently as September of 2014, so if you are interested in Magnolia blanks, or other native woods of the Southeast, keep checking back with them as they are the most likely source and are great guys to deal with all around with super-fast shipping at very fair prices. My piece of Magnolia was purchased several years ago and allowed to dry as it was purchased green but waxed. The blank didn’t deform nearly as much as some other woods I have worked with that were waxed when cut round green, but of course it did deform a slight bit from round, a situation I first corrected on the band saw before turning between centers and then face plating. The wood turned very easily with very little end grain tear out. The true color of the wood was hidden beneath the yellowish wax but turned out to be a creamy pale yellow with very attractive darker grain streaks and several knot inclusions that added character. The blank was relatively large at 8 inches round and 3 inches thick. About ¾ inches were lost in both dimensions due to deforming and the process of turning to round and shaping. But the piece retained good size, coloration, and grain figure. I encountered no difficulty in turning and finishing the piece using standard turning methods, Easy Wood Tools, and Abranet sanding screens. I finished the piece with a coat of Behlen’s Woodturners Finish, a great all around finish that is easy to use and which won’t discolor woods that you want to appear natural. It does sometimes leave streaks so be careful in the application and wipe it on with a clean lint-free cloth to minimize this potential problem. Let dry completely before handling and correct any fingerprints with another light wiping of Behlen’s. This also helps reduce any streaking that might occur. Overall I enjoyed working with this piece of Magnolia, especially because it is a tree that I admire for its beauty when growing and now I can also admire the wood it produces. I also value it because it is of local origin, didn’t endanger any tropical forests or trees, and it may well have been rescued from the refuse pile or the fireplace since much Magnolia wood comes from individual trees that have been removed by the owner for one reason or another, but they are not typically harvested in the wild any longer, or at least not on a large scale. This makes the use of Magnolia wood for turning a more ecologically sustainable practice than the use of more exotic tropical woods might prove to be and there is a limited carbon imprint since it was harvested locally and not transported long distances. And, the wood was attractive and fun to work with as well. I rate Magnolia a winner in all categories!